Bentall Kennedy (U.S.) Limited Partnership completed a $105.3 mil industrial acquisition in Stockton on behalf of its US Core Fund. The 1.12 msf ($94/sf) building, previously one of the largest spec industrial developments in Northern California, was 100% leased to Amazon at time of sale. The asset was sold by CT Realty, marking completion of the first phase of development at CT’s 342-acre NorCal Logistics Center. Located at 4532 Newcastle Rd, the building is within close proximity of two intermodal rail facilities and multiple interstate highways, serving all major Northern California markets and key Western U.S. destinations. The region is an extension of a global logistics supply chain infrastructure that links to West Coast ports in Oakland/Stockton, Los Angeles/Long Beach, Portland, OR and Seattle/Tacoma, WA. 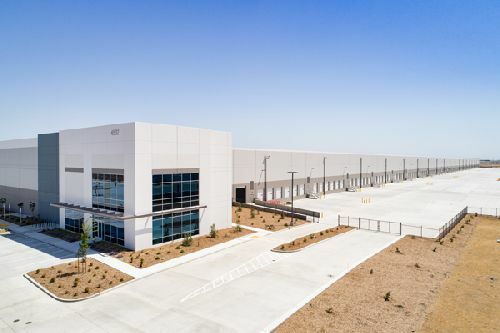 The second phase of development at NorCal Logistics Center is underway and includes 2.7 msf in five buildings in a mix of spec and build-to-suit projects. CT is in construction on the first of these buildings, a 709.6k sf building planned for completion at the end of August 2019. CT is currently in construction on 5 msf of industrial space nationwide, including 1.3 msf of large-scale distribution buildings at Interchange 55 Logistics Park in the greater Chicago area, 800k sf in the Dallas/Fort Worth area, 1 msf in Indianapolis, 1.8 msf in Atlanta, and nearly 100k sf in New Jersey. The company’s current land holdings support the development of an additional 15 msf of industrial buildings over the next five to seven years, and CT is actively seeking additional development opportunities in 2019 for future expansion.